Most of our crafts are inspired by random things that we encounter in our everyday life. Both crafts that we made yesterday were inspired by objects that I saw in my aunt’s home where we are staying during our house build. We are currently residing in her finished cellar. Yesterday, I was trying to clean up and organize some of the stuff that we brought with us. As I was trying to find a home for all of our things, I came across a fake poinsettia. It was soft & glittery and pretty and the perfect subject for a craft. 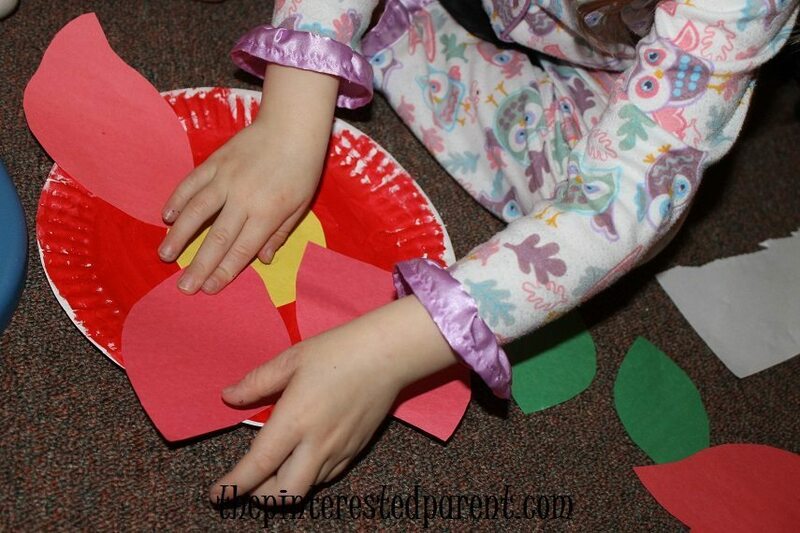 Paint the paper plate in red & let dry. 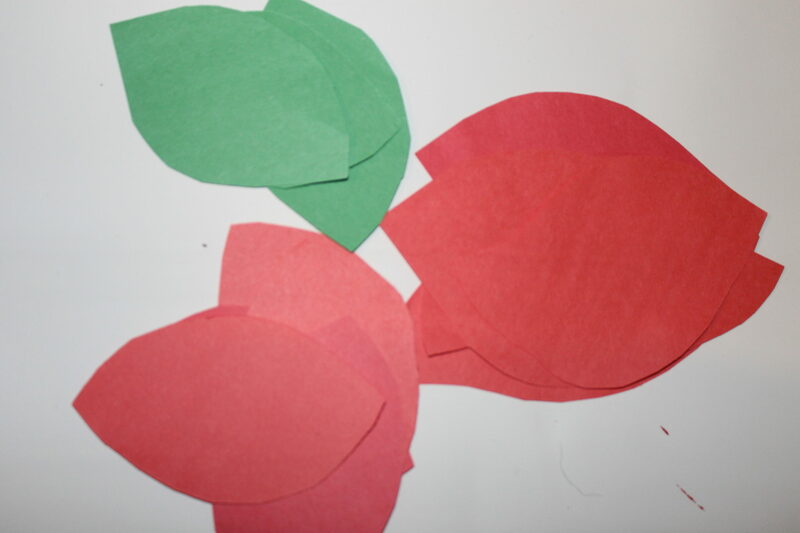 Cut the poinsettia petals out of red construction paper. Cut out 6 large & 6 smaller ones. Also, cut out green leaves. 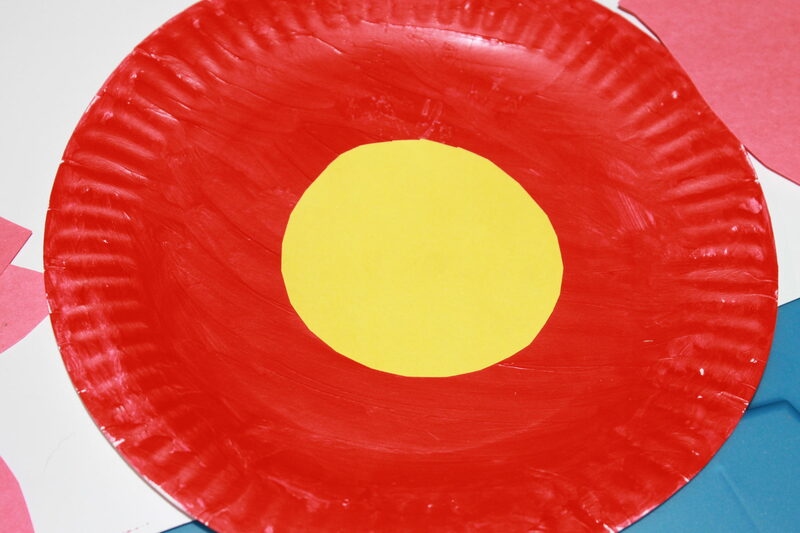 Cut out a yellow circle & glue it to the center of your plate. Glue the 6 large ones around the place first. Try to leave the middle as untouched as possible. 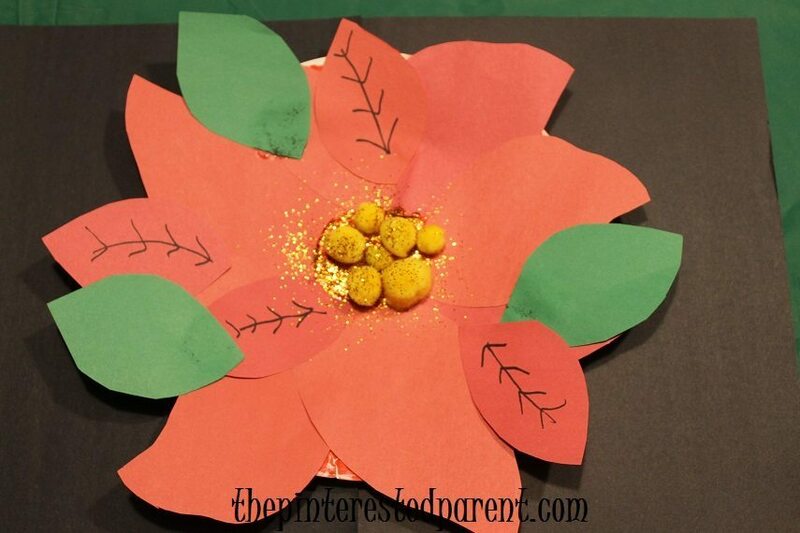 Glue the smaller ones between or on top of the larger petals & then add glue, glitter & pom poms to the yellow construction paper. 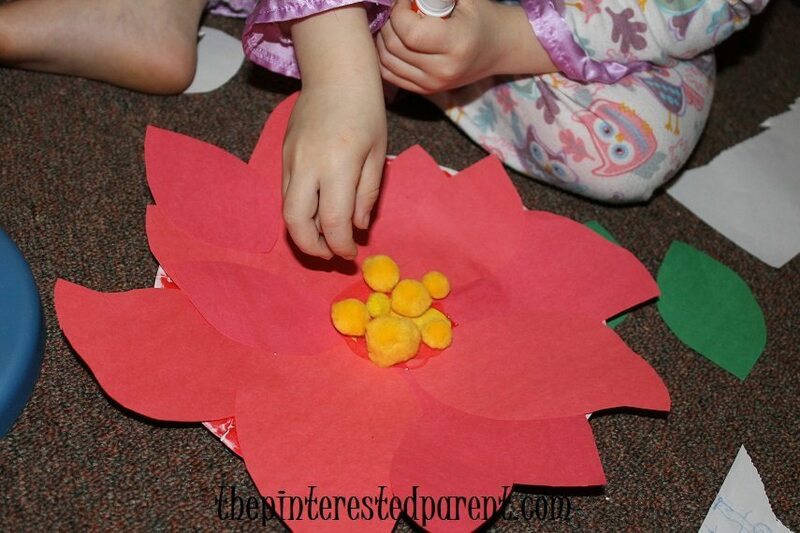 Glue the leaves on & draw in the petal veins for the smaller petals. 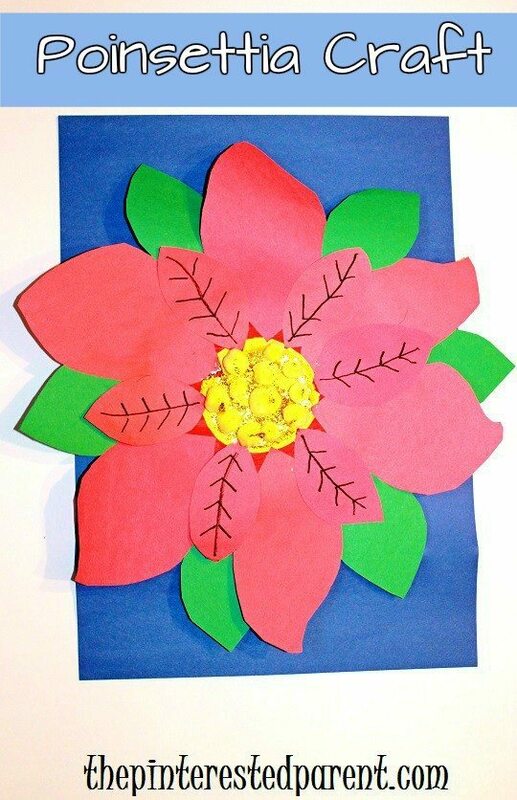 Our next craft was inspired by a decoration in my aunt’s house. It was just a simple winter scene made with silhouettes. This was a quick & easy one. 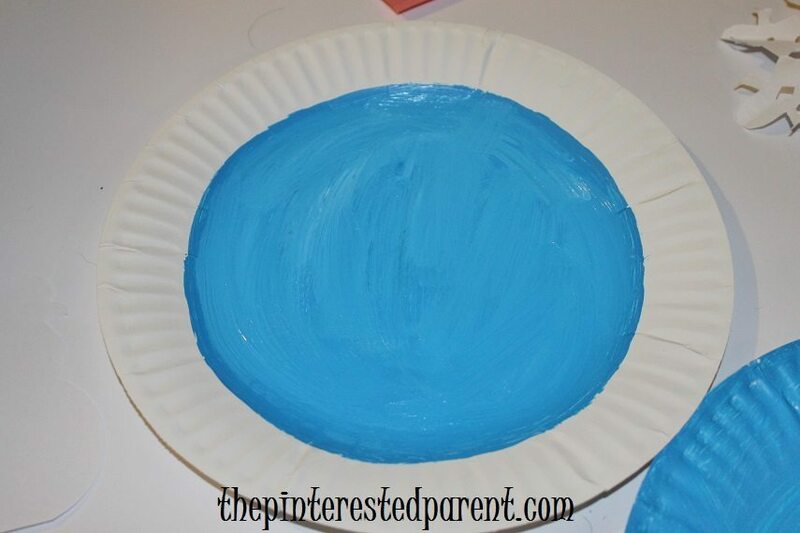 Just paint the center of the paper plate blue. Leave the outer ridged edge white. Cut simple silhouettes out of white paper such as a snowman, Christmas tree or make a small snowflake. 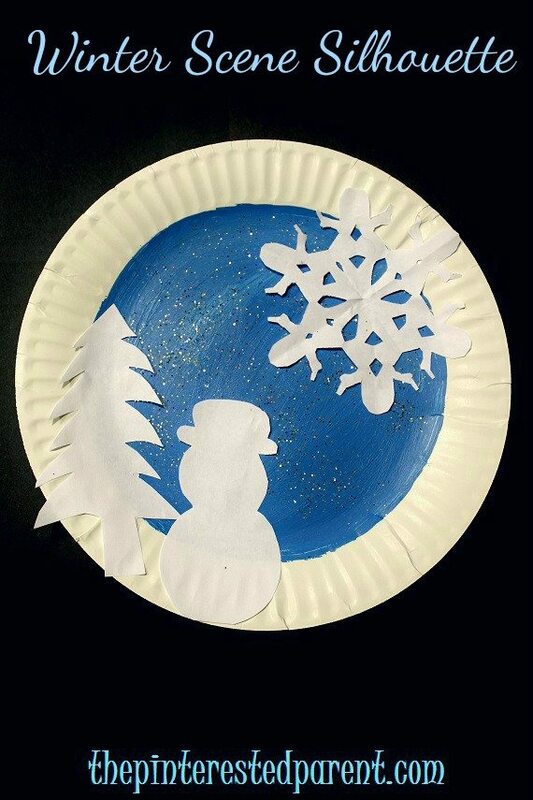 Glue the silhouettes on so that they are both on the painted & unpainted portions of the plate. 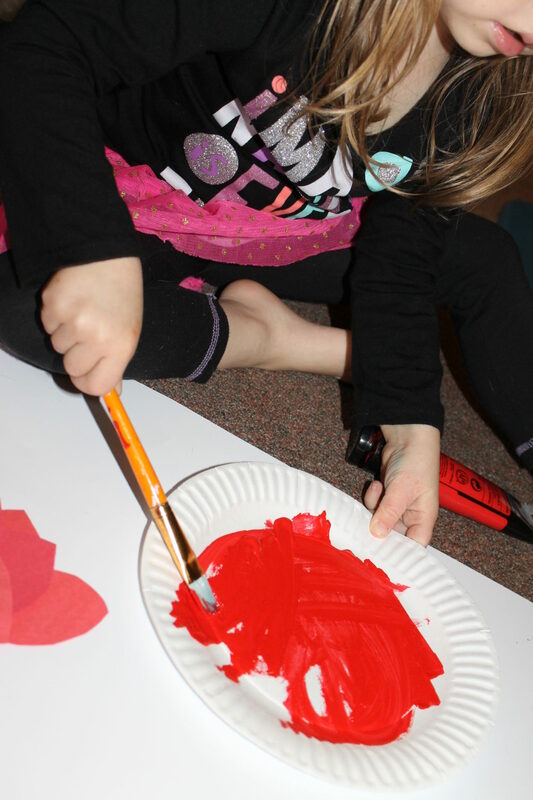 Voila, one quick, easy & pretty winter craft.